Many businesses have already moved all or part of their operations to the cloud. Others will be doing so in the coming future. Migrating to cloud comes with many benefits such as enhanced flexibility, control, and scalability. Cloud deployment, however, also comes with its own unique security challenges. Hosting application data on the cloud can make businesses more prone to cyber attacks. There are instances where hackers use cloud based networks to launch malicious attacks. To avoid such issues, your business needs cloud security that includes firewall, antivirus, sandboxes, and other tools to monitor incoming traffic and combat threats. In this post, we look at why you need to consider cloud based security. Take a look. In a DDoS, the hacker redirects traffic from several sources to the target website server. The system is overwhelmed by incoming traffic and cannot respond to legitimate requests by website users. DDoS attacks can render a website useless for several hours or even days, and can result in substantial losses. To help avoid this issue, cloud security solutions perform real-time scanning and identify DDoS attacks. When an incoming attack is detected, the system alerts website managers and absorbs the incoming traffic, distributing it among different points of presence. Data breach is one of the major concerns for businesses and Internet users alike. According to a report, over 2.6 billion online records were stolen in 2016. To help you avoid data breach issues, cloud security solutions include various security protocols, and different controls. You have the freedom to choose the users who can access data outsourced to the cloud. Further, security solutions help you identify any efforts to tamper with data and will also help you recover lost data. To help avoid data breach and security issues, many regulating bodies require organizations to abide by data storage and usage guidelines. Cloud security solutions include different controls and report generating capabilities that help comply with these regulations. Look for a solution that can generate audit trails and can help you detect any data tampering efforts. 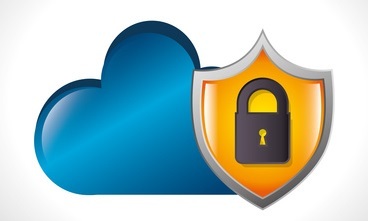 Providers offering cloud security solutions offer round the clock support. Cloud computing security solutions provide live monitoring 24 hours a day, 365 days a year. To help keep a tab on downtimes, cloud security solutions have built-in redundancy and can provide duplicate copies of lost or inaccessible data. Procuring and installing infrastructure to avoid cloud attacks can result in substantial capital expenditures. Outsourcing the job to an agency would help you avoid such costs. You would be required to pay a periodic subscription cost, which would be far less as compared to opting for security infrastructures. Using a cloud security solution, also makes the need to maintain a dedicated security team redundant, therefore, helping you realize substantial savings. The post looked at why you need to consider cloud based security by focusing on the various benefits of the solution. To help avoid emerging security issues, cloud security solution providers offer updates on the best practices. If you are looking for a cloud based security solution, i2k2 got you covered. Our clientele features companies from different industries including education and healthcare. To learn more about how we can help you manage your IT infrastructure and cloud migration, fill out our contact form, or call us at +91-120-466 3031.